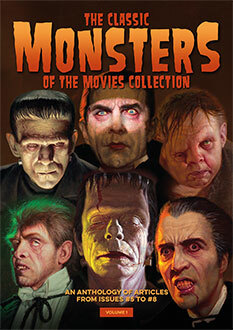 The Freaks 1932 Ultimate Guide Hardback is the collector’s edition of this guide, in a strictly limited edition hardcover format – only 30 in the world – and signed and numbered by the authors with a FREE exclusive Freaks art print! Banned in the UK for over 30 years, 1932 pre-code movie Freaks almost ended director Tod Browning’s career and is technically still banned in some areas of the US today. Using real life sideshow performers including Johnny Eck the Man with Half a Body, Prince Randian the Living Torso, Frances O’Connor the Armless Beauty, Peter Robinson the Living Skeleton, Daisy and Violet Hilton the Siamese Twins, Olga Roderick the Bearded Lady and Koo-Koo the Bird Woman, the film caused outrage among MGM studio executives, the cinemagoing public and film critics of the day. 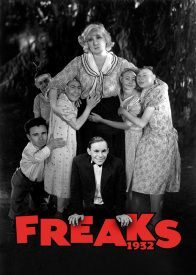 Based on the short story Spurs by Clarence ‘Tod’ Robbins, Freaks tells a tale of greed, betrayal and the unshakable code of conduct observed by those titular protagonists bound by human affliction. Superbly directed by Browning and featuring a stellar cast including Wallace Ford, Leila Hyams, Olga Baclanova and dwarf siblings Harry and Daisy Earles, Freaks was conveniently lost in the studio’s vaults for a number of years due to the horrible reactions it provoked. Our hardback Ultimate Guide to this groundbreaking movie lifts the lid on how it was made, what life on the set was like for its diverse cast and crew, and what effect it had on the moviegoing world of 1932. Packed with pin-sharp rare stills, lobby cards and posters and a wealth of information on the individuals that brought Freaks to the screen as well as what went on behind the scenes, this stunning, full colour hardcover guide will tell you all you want to know about this legendary production. So if you’ve always craved knowledge about this unique piece of cinema, here is the perfect companion to a rewatching of Freaks, with a FREE full colour exclusive Freaks art print, which cannot be obtained anywhere else.